Clean Dream Pressure Washing has the experts in exterior cleaning for Ponte Vedra Beach. We offer a complete range of pressure cleaning services for the exteriors of commercial structures and homes. We clean any exterior surface, including brick, concrete block, vinyl siding, wood, stucco,and any kind of painted surface. If not done carefully, pressure washing can damage some surfaces. Expert cleaning cleans but preserves the surfaces. Our careful cleaning methods avoid damaging plants and landscaping. Discoloration caused by staining can drive customers away, and even cause health hazards. Concrete can easily absorb oil, fuel and grease stains in such areas as parking lots, garages, walkways and filling station surfaces. We pressure wash concrete and other paving surfaces, and get them thoroughly clean. Our building pressure washing uses a soft cleaning process that uses low water pressure and carefully formulated cleansers that thoroughly clean but are environmentally safe. Clean Dream’s process works safely on any kind of siding or roofing. It’s particularly appropriate for shingles and for wood surfaces that high pressure cleaning can easily damage. Regular pressure washing has benefits beyond simply cleaning. Roofs regularly cleaned last much longer, and function better. Cleaning contributes to the overall look of a home or business. Customers first judge a business by how it looks from the outside. Homes that look clean and fresh generate much more curb appeal,which contributes to maintaining property value. It also keeps the neighborhood looking good. Our team proudly offers many other cleaning services. Expert window cleaning is performed up to five stories high. Home gutter cleaning will remove leaves, twigs and other debris from your rain gutter systems. We also pressure wash concrete decks, patio areas, driveways and walkways. 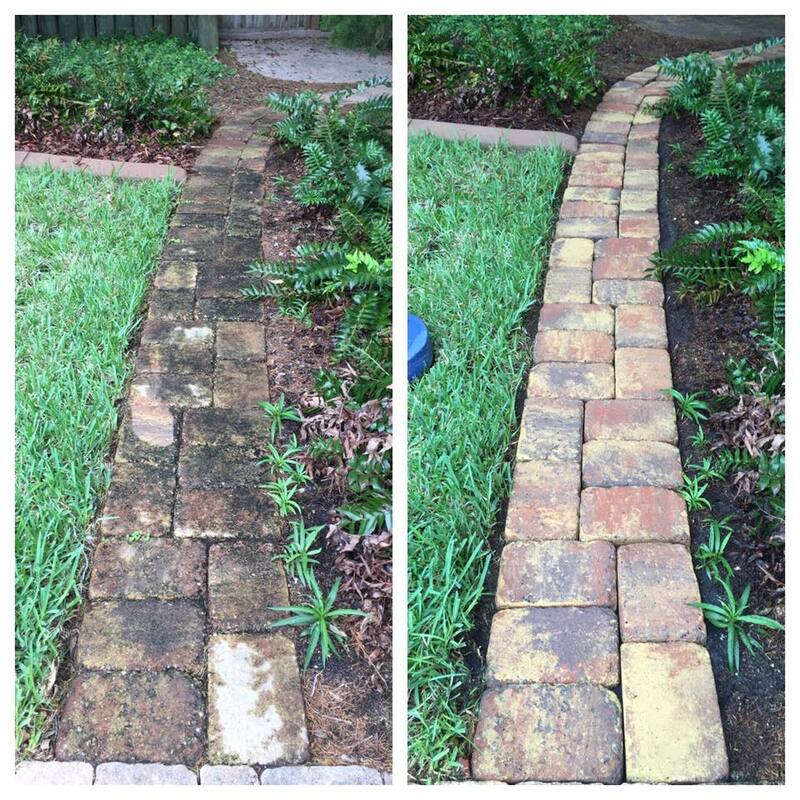 Furthermore, our team will properly clean and seal your brick pavers. Clean Dream Pressure Washing is fully insured and licensed. We come highly recommended by our clients. Give us a call today for your Ponte Vedra Beach pressure washing and roof cleaning projects. "Austin did a fantastic job cleaning my gutters and pressure washing my driveway and house. The rails around my front porch were so dirty that I was actually embarrassed for anyone to come to my front door. I thought they would never come clean again but they now look as if they were freshly painted. Even my windows, are now squeaky clean. 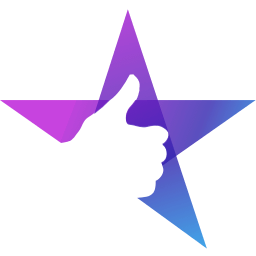 Thank you Austin, I now know who to call in the future and will certainly recommend you to my family and friends." "Have used Clean Dream for the past 2 years to clean my siding, driveway, patio and windows. The work is done in a professional manner and Austin has been very helpful. 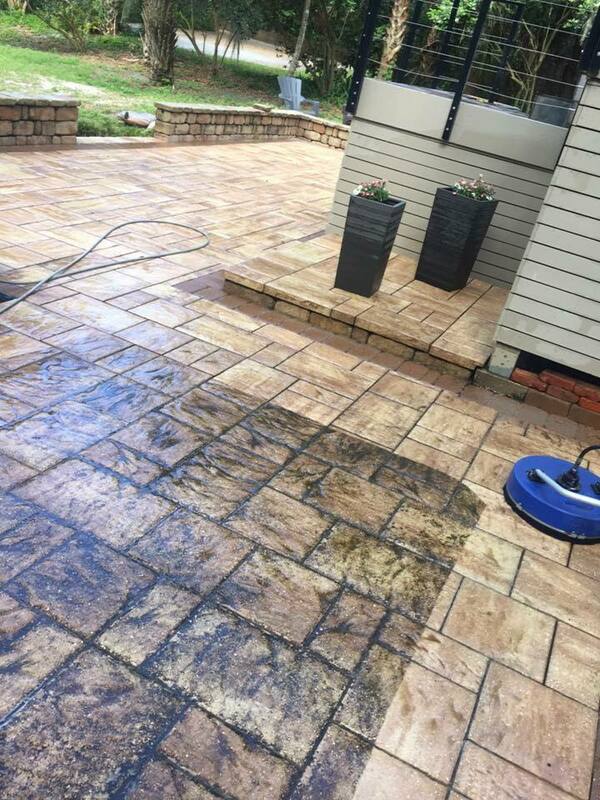 He is familiar with the sealer product used on my paver patio and was able to clean it according to the manufacturer's specs." Would you like to boost the curb appeal of your property?